ZY has been providing engineered, adjustable soft-mount crane rail solutions for all types of crane tracks and runways for rail-mounted equipment in the toughest environments and highest duty cycles. 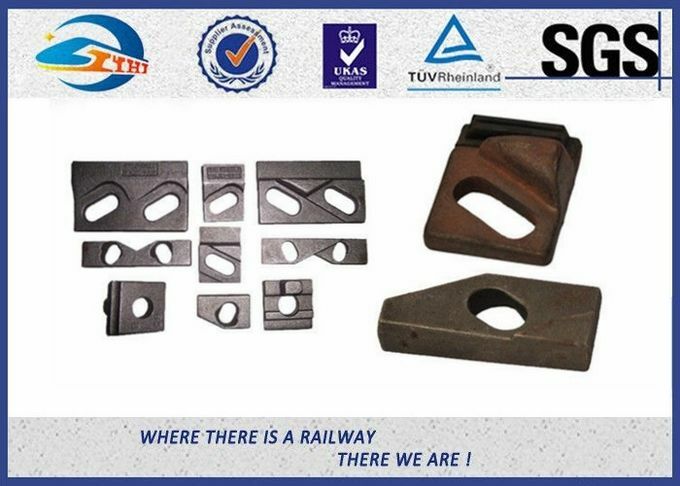 The extensive Zhongyue clip range can accommodate nearly every rail profile produced in the world, including DIN Rail, MRS Rail, ASCE or “T” Rails and US Crane Rail sections, used either with or without crane rail pad. Two main clip types are available, based on the fixing support: either welded-base or through-bolted. Zhongyue offers clips for use with both imperial and metric hardware, and in both single-bolt and double-bolt configurations for all types. Zhongyue crane rail clips maintain the rail lateral position but allow for needed longitudinal movement through the use of the vulcanize-bonded rubber nose. The nose helps absorb the energy of vertical deflection caused by wheel passes. 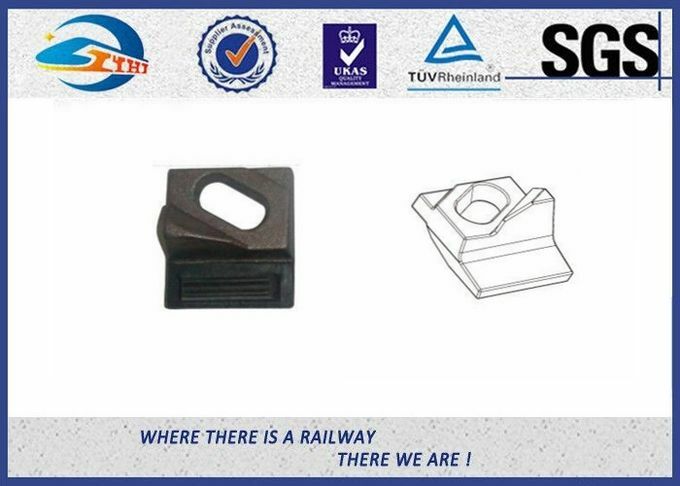 Zhongyue crane rail clips are manufactured throughout the world, with primary manufacturing in North America and Europe. 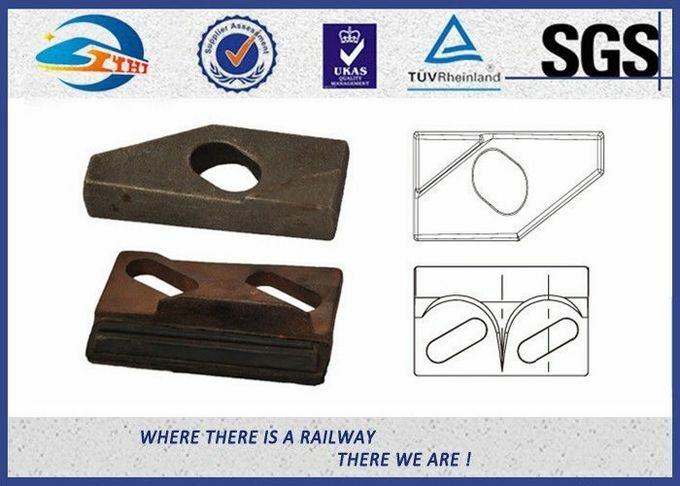 Zhongyue self locking crane rail clips are designed to align and securely fix the rail. 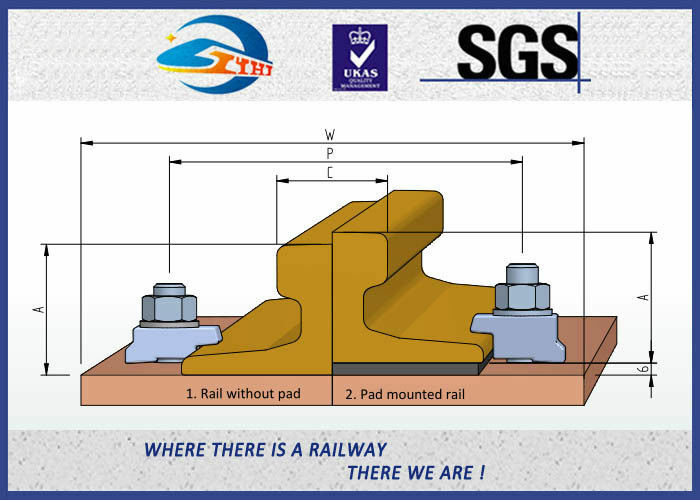 The elastomer ‘nose’ applies a controlled force to the rail to restrain excessive movement. Size for size welded clips give a stronger installation but bolted clips are often more convenient. Find or estimate the horizontal force to be carried by the clip. It is assumed that all of the load from one wheel will occur at one clip. 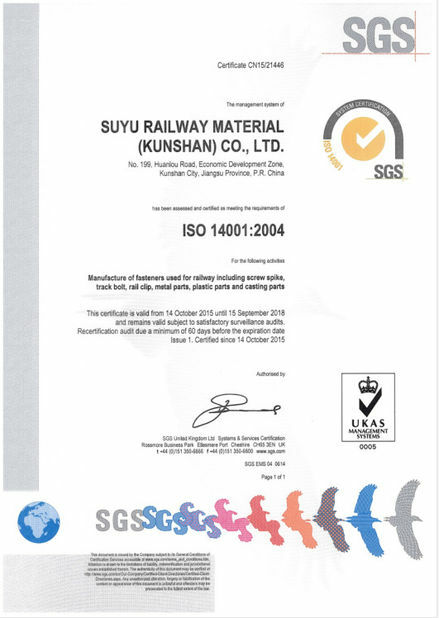 If the load is not known it may be assumed to be 15% of the vertical wheel load. Choose the style of clip you require – bolted or welded. These are identified with their respective strengths. Find the dimensions of the foot of the rail to be used. Check that the selected clip will fit the installation. The choice between bolted clips and those with welded lower components is often based on industry practice and preference. The bolted clips are economical but size for size they are rated significantly lower on load carrying capacity. Thus heavy duty industries such as steel and aluminium manufacture tend to use welded base 8 or 9 series clips whereas lighter applications such as industrial buildings and high bay warehouses use 3, 6 or 7 series clips that are fixed by bolting. WE are always happy to give guidance on this matter. It is assumed that grade 8.8 bolts will be used. If welded studs or grade 4.6 bolts are used then their strength is only taken as 40% of grade 8.8 bolts.